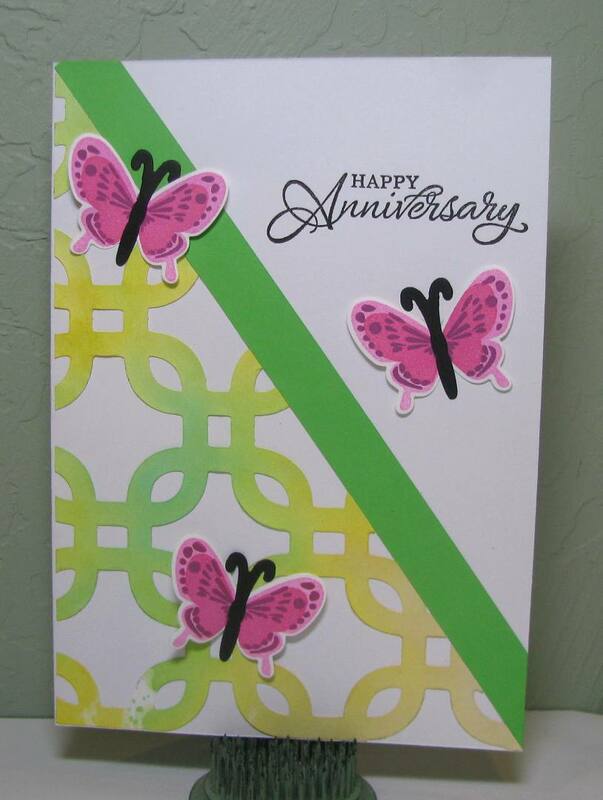 Anniversary cards are all about love-and this card went to my husbands parents on their 58th wedding anniversary! A friend and I were trying techniques, and I had cut some backgrounds with my Cricut to use a stencils for watercolors. I got great results on the watercolor paper, and the paper stencils got colored too. And I LOVE these Hero Arts butterflies. For more information on this card, please visit me here. You can do so much with those butterflies. And I love your stencils. Spring colors for butterflies to be attracted to.